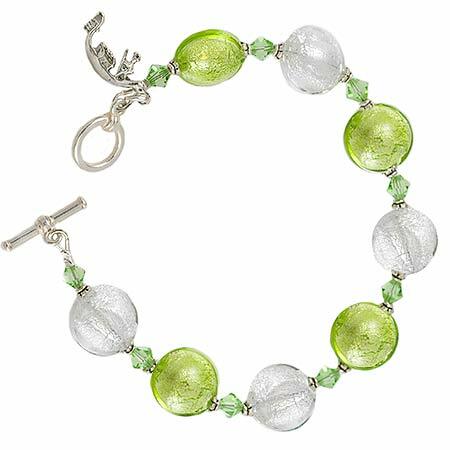 Two colors of Murano glass beads are mixed with Swarovski crystals silver-plated findings to create this simple, stylish bracelet. Each bracelet also features our signature gondola charm. Made to fit size 7 - 7 1/2 inch wrists. Other sizes available with slight modifications to design. Please note desired fit during checkout if other than stated.